Now you can carry your favorite comic book characters around on your headphones! These Batman and Joker 2-Inch Scalers Ear Bud Headphones are perfect for the Batman fan in your life. 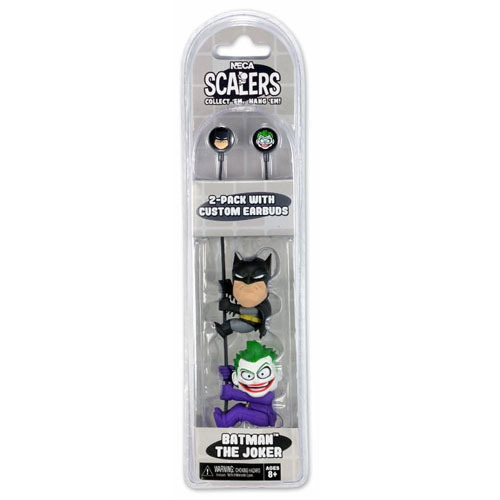 Not only do you get an awesome pair of ear bud headphones that feature Batman and The Joker, but you also get Scalers mini-figures of each as well! Ages 8 and up.